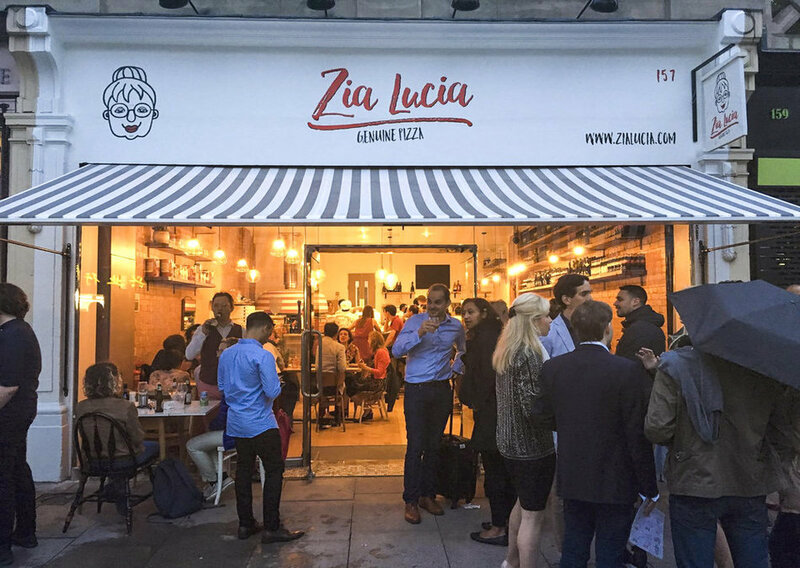 It’s been fascinating following the growth of Zia Lucia in the past few years as it grows from strength to strength. We first learned of them at the opening of their Islington branch on Holloway Road and with their growing popularity, they’ve opened branches at Brook Green and most recently at Boxpark in Wembley. We went back to their Islington branch recently to discover why we fell in love with this pizzeria in the first place. The Holloway Road location serves North Londoners extremely well being only a short walk from Highbury & Islington station. There is a distinct lack of pretence in their decor with the focus on great wines and carefully crafted pizzas. You might be interested to know Zia Lucia isn’t a made up name but genuinely exists. It is the name of one of the founder’s aunt who specialises in cooking great Italian food for the extended family of friends from owners, Claudio and Gianluca when she visits London. If there is any constructive feedback, it would be their appetiser and dessert options are quite limited. However, I did enjoy a high-quality plate of mortadella which has been extremely well-sourced and comes with freshly baked focaccia. 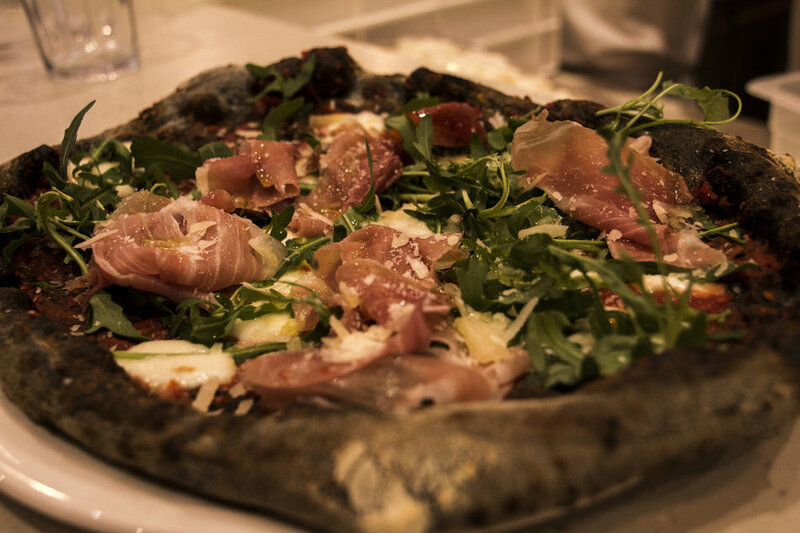 Like their pizzas, they come with wholemeal, vegetable charcoal and gluten-free options. But Zia Lucia is all about the pizza. 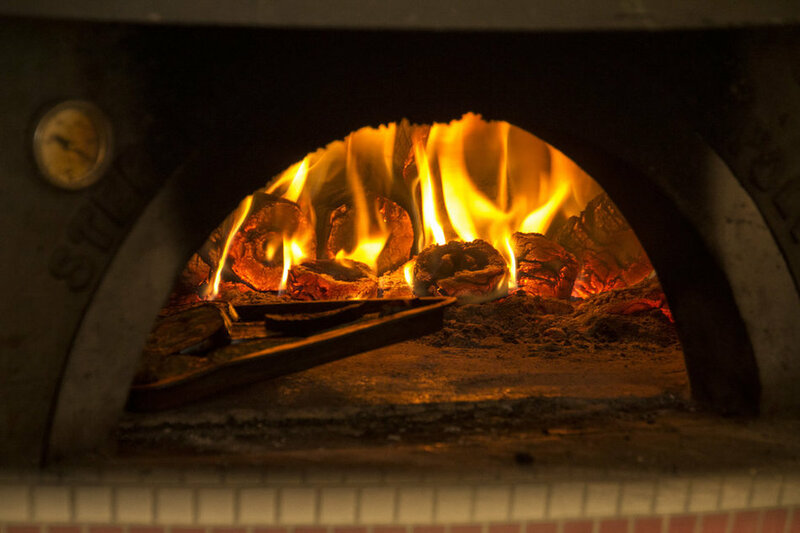 They are baked in hand-crafted, wood-fired ovens imported directly from Naples and called lovingly, Dante and Wally. 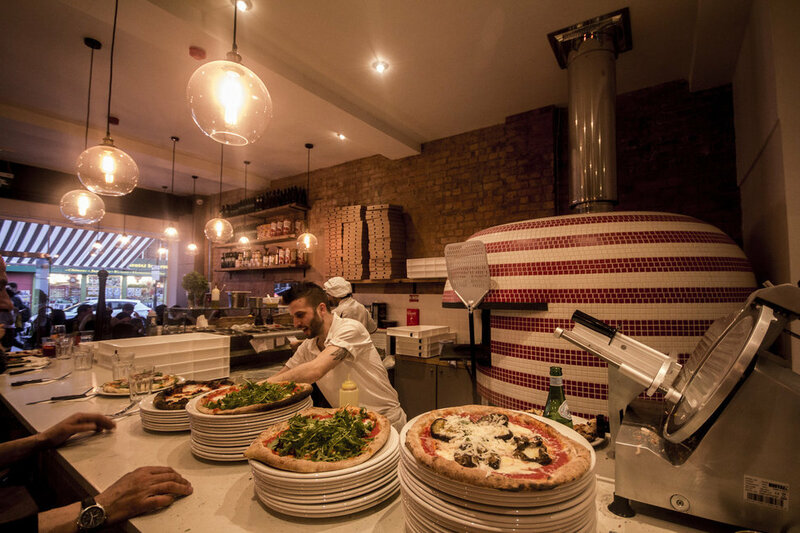 Pizzerias are a crowded market in London but their USP is the variety of doughs they offer. 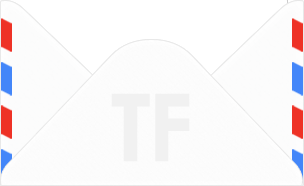 My favourite being the vegetable charcoal which has a distinct flavour, digestive gas-absorbing functions and just has a standout appearance. My favourite pizza option at Zia Lucia is undoubtedly Arianna: Mozzarella, fresh sausage, taleggio goat cheese, pecorino cheese, truffle honey. The final ingredient is the piece de resistance in this magnificent creation: it has a luxuriously smooth texture, powerful truffle aromas and adds a sweet, earthy depth of flavour to the pizza. Vegetarians and vegans are also very well catered for with mouthwatering sounding options like Le Vegana: butternut squash cream, fresh tomatoes da campo, asparagus, and sun-dried tomatoes. With a constant stream of eat-in diners and takeaway drivers picking up pizzas, you know they are much loved by all Londoners. Do check out their new Boxpark Wembley branch and they are a brand I can see going from strength to strength.